"Amid the sea of bad news and negativity there’s always a bright light somewhere. With the media under constant attack, I think it’s important to recognize the gay journalists who are good at their jobs, and report the news in a civil and straightforward way. They serve the public interest with integrity. They’re honest and factual and tell the truth, and they’re outstanding representatives of the LGBT community," writes Roy Steele. 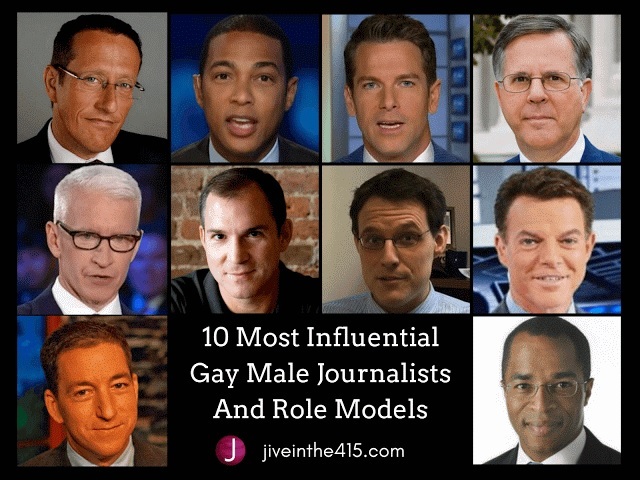 "This is my subjective list of the top ten most influential gay male journalists and role models, working in the media today (in alphabetical order)."